GET Hiking: Volunteers make it happen. 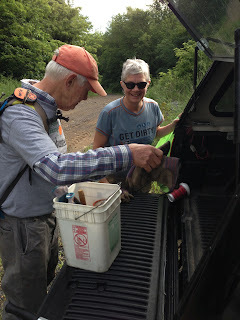 John Stein and Deb Dunkle getting ready for trail work on the MST. Below is the new bridge Deb worked on for 10 years that safely crosses Yellow Creek. 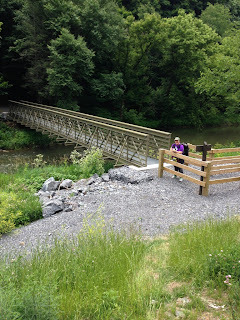 I'm sure Deb would like to know that right after me and Jo crossed a bunch of teenagers came up the trail from cooling themselves in the river using this fabulous bridge. Good work Deb!